Search for a local Carpet Cleaner in The UK below or alternatively you can post your job so they find you! Air Conditioning, Appliance Repairs, Bathroom Installation in Birmingham, West Midlands. Carpet Cleaners in Basildon, Essex. Bathroom Installation, Building & Extensions, Carpet Cleaners in Manchester, Greater Manchester. Carpet Cleaners in Hornchurch, Havering, London. Carpet Cleaners in Ely, Cambridgeshire. Carpet Cleaners in Huddersfield, West Yorkshire. Carpet Cleaners in Nottingham, Nottinghamshire. Carpet Cleaners in Norwood New Town, Croydon, London. Carpet Cleaners, Commercial Cleaners, Domestic Cleaners in Worksop, Nottinghamshire. Enter your requirements for the job you need undertaken. Your job is sent out instantly to tradesmen local to you. 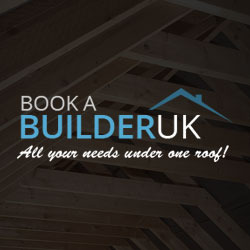 You will receive quotes from tradesmen along with thier profiles to review previous works & testimonials. Pick the tradesman for your job! Choose the tradesman you want to carry out your job!